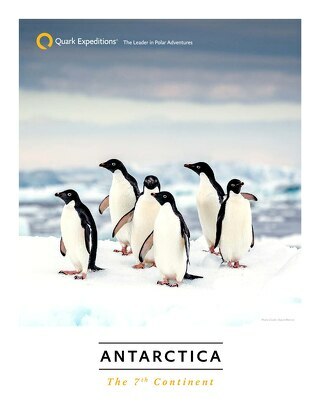 Home » Antarctic Peninsula » Can I Travel to Antarctica? Antarctica. The 7th Continent. The land mass at the bottom of the globe, completely encased in ice. Its remote wilderness featured on nature documentaries and in our science and history books. And for those reasons, it might seem somewhat abstract and hard to reach. Perhaps even impossible. But it’s not. Despite its seemingly impossible remoteness, Antarctica has never been so accessible to adventurous travelers. In fact, more than 45,000 people traveled to Antarctica in the 2016-2017 season from all over the world, including the United States, China, Australia, Germany, Canada, the United Kingdom, France, India, and many, many more. As the timeless idiom indicates: knowing is half the battle. 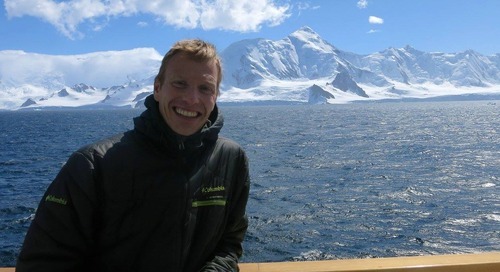 Throughout this piece, I hope to convey the knowledge that not only can you visit Antarctica from almost anywhere in the world, but just as importantly, how you can do it. You can travel to Antarctica! Here’s how. A common question I hear from people whose excitement is palpable after they’ve learned how accessible Antarctica can be, is: “How do I even get there?” That answer might not immediately seem straightforward. Maybe some of us have heard of researchers flying on military aircraft from New Zealand, or month long sailing adventures from South Africa or Australia. But the easiest way to get to Antarctica is simple. All you need to do is reach Buenos Aires, Argentina or Punta Arenas, Chile. Both are cosmopolitan cities with international airports and regular service to the rest of the world. The majority of Antarctic voyages depart from Ushuaia, Argentina, a three-and-a-half-hour direct flight from Buenos Aires. Throughout the summer, the Port of Ushuaia embarks and disembarks expedition vessels bound for the southern wilderness as seamlessly as any harbor in the Virgin Islands, the Mediterranean, or Alaska. Voyages departing from Ushuaia, Argentina access Antarctica by sea. They traverse the infamous Drake Passage, a 600-mile (1,000 kilometer) body of water that separates South America from the Antarctic Peninsula. Depending upon conditions, this crossing often takes a day and a half at sea and is a prime opportunity to view iconic wildlife such as the great wandering albatross. Alternatively, travelers preferring to skip the Drake Passage can fly out of Punta Arenas, Chile directly to an airstrip on an island adjacent to the Antarctic Peninsula. From there, they’ll board the expedition ship and be standing face to face with glaciers and penguins just a few hours after departing Punta Arenas. When can I travel to Antarctica? The best time to visit Antarctica is from late spring to early fall, which in the southern hemisphere is from October to March. The first voyages of the season reach Antarctica in late spring (end of October or early November) when the sea ice opens up just enough to allow ships into the pristine glacial landscapes. Voyages operate continually from late October, until the summer comes to an end, and the wonderfully powerful Antarctic autumn begins to arrive by the middle of March. Learn more about the unique highlights of visiting Antarctica during its different seasons here. How long is an Antarctic expedition? When browsing information about your Antarctic expedition, you’ll find different types of “itineraries,” or sailing plans. These itineraries aren’t concrete, per se, but guides that will shape the direction and the duration of each voyage. 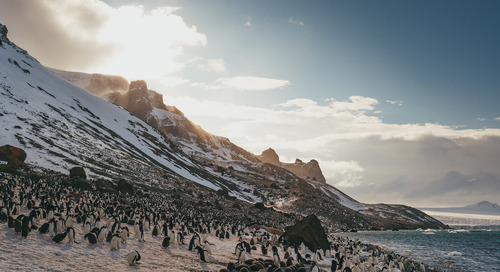 Among these, you will find expeditions that travel directly to Antarctica, and others that include the spectacular sub-Antarctic regions of the Falkland Islands (Islas Malvinas) and South Georgia. 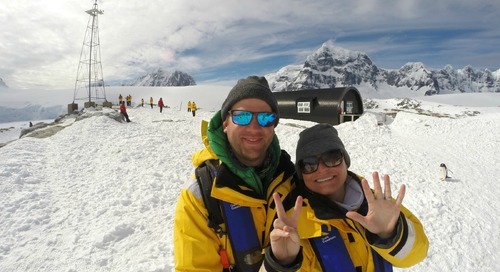 There are a wide range of options for visiting Antarctica that can suit your schedule, from “express” expeditions with flights to the Antarctic Peninsula that get you to the continent and back in as quick as eight days, to epic explorations of sub-Antarctic islands and the continent itself, lasting three weeks or more. The most common expeditions last approximately nine to ten days, including five full days of exploration in Antarctica. Rather than fly from South America, these voyages embrace the power and the beauty of the Drake Passage (and its rich and abundant bird life), sailing from Ushuaia. 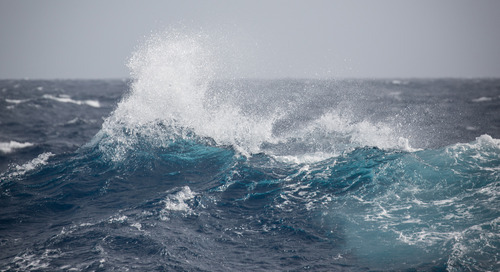 Time spent at sea varies depending on sea conditions and wind, but often take from one and a half to two days at sea, each way. The rest of the voyage is spent in the seemingly endless coastal environment of the Antarctic Peninsula. For those with extended holidays and a thirst for a deeper exploration of this remote wilderness, there are expeditions that spend twenty or more days exploring in the Southern Ocean and its unique islands. These extended voyages include visits to the wildlife-rich Falkland Islands and the otherworldly wilderness of South Georgia, in addition to the days spent in the Antarctic Peninsula, making these expeditions the most thorough exploration of the wild environments at the bottom of the globe. 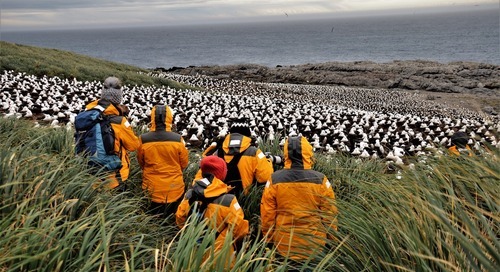 How is an expedition to Antarctica different from a cruise? The best way to immerse yourself in the Antarctic experience is aboard an authentic expedition ship. Different from traditional cruise ships, expedition vessels are much smaller and allow travelers to not just get closer to the continent, but to actually travel into and set foot on the glacial landscapes that make it so famous. 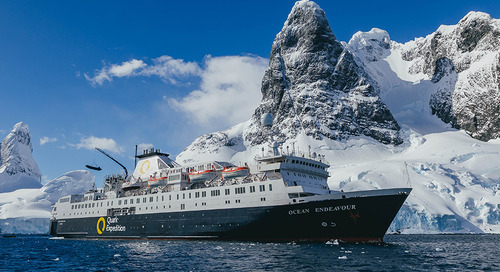 Larger ships that do quick cruise-by’s, providing only glimpses of Antarctica, often carry upward of 500 – 2,000 passengers. Alternatively, expedition ships typically carry between just 70 and 200 passengers, but never more than 200. Smaller group sizes comply with tourism regulations on the 7th Continent, and allow for a substantially wider array of activities, including daily landings on islands and the physical continent itself, and intimate, Zodiac cruises amongst icebergs and wildlife. This type of exploration of the Antarctic Peninsula is not possible on larger cruise ships. Expedition ships in Antarctica have reinforced hulls that are ice-class rated, meaning they are designed to withstand contact with bits and pieces of sea ice and small fragments of icebergs. 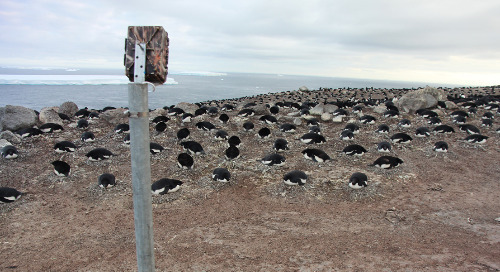 In response to the extreme conditions of the continent, they are engineered to be entirely self-sufficient for weeks on end and able to navigate the ever-changing seascape of Antarctica’s coastline, inlets, bays, and channels. 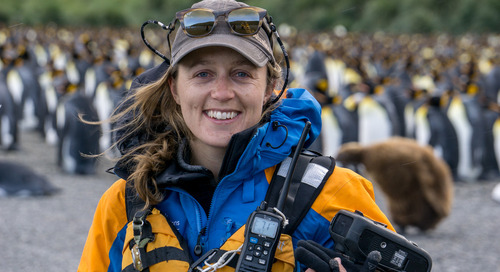 In this way, expedition trips take on the spirit of exploration, much like the sailing adventures from centuries ago: everything that is needed for the voyage is prepared for in advance, allowing for pure freedom, mobility, and spontaneity to take advantage of opportune weather conditions or wildlife sightings. When planning your visit, there is a wide range of expedition vessels from which to choose, depending on size, accommodations, and adventure options that suit your travel style. A bit of research or a phone call with a Polar Travel Adviser can help you choose what ship best fits your preferences. What can I do while in Antarctica? 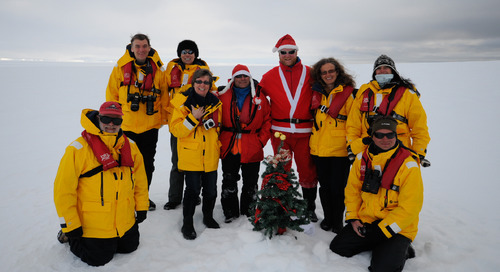 Expedition trips to Antarctica provide daily opportunities to get off of the ship and into the environment. 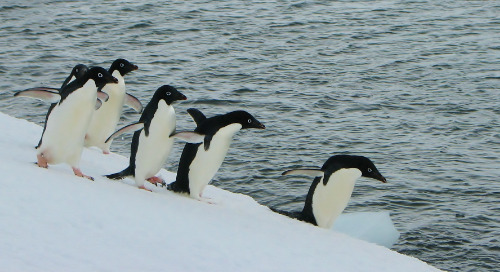 While sailing the coastlines of the Antarctic Peninsula, the Falkland Islands, and South Georgia, most voyages make landfall at least once, during which you can walk amongst penguins and seals, hike up to vantage points to take in the immensity of the wilderness, or just sit contemplatively in a cathedral of glaciers, icebergs, and wildlife. Additionally, you’ll go on daily Zodiac cruises (small, inflatable watercraft that hold just 12 people) to explore beautifully sculpted icebergs, marine life including seals, penguins, and whales, and infrequently visited areas that make us all feel small in this beautifully massive environment. For those with a thirst for something extra, there are various add-on adventure options that allow travelers to personalize their journey. These include overnight camping trips on the ice, where the true meaning of “disconnecting” can be fully understood. Imagine setting up your sleeping bag under the midsummer night skies of Antarctica as you watch your expedition ship slowly disappear behind a neighboring island. The rumblings of glaciers and the voices of penguins become all the more audible as you realize you are out there, camping with a few dozen other hardy souls who want to brave the 7th Continent the way explorers did centuries ago. The pure Antarctic silence surrounds you as you drift into sleep, and the first thins you’ll see in the morning are the nearby glaciers and tranquil waters of a protected Antarctic cove, and perhaps a penguin or two resting at the water’s edge. 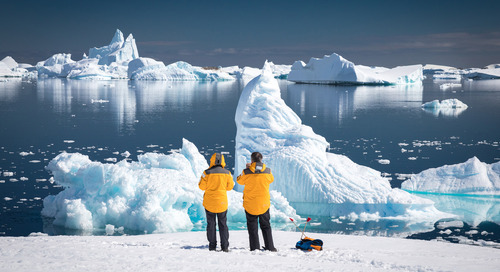 An experience truly unique to expedition travel to Antarctica. Although Antarctica has a reputation for being fiercely cold, in the summertime, the Antarctic Peninsula can be quite inviting! So inviting, that under the right conditions, visitors can navigate icy bays by stand-up paddleboard (SUP). Many people often associate SUP boarding with the tropics, but it can actually be the perfect fit for an intimate Antarctic moment. Paddling through a quiet, isolated cove can be one of the best ways to move the body while taking in the sounds of porpoising penguins and the crackling of bits and pieces of glaciers floating nearby. The waters of Antarctica are teaming with life, and intimate encounters with penguins, whales and seals gliding beneath or near your board are not uncommon. 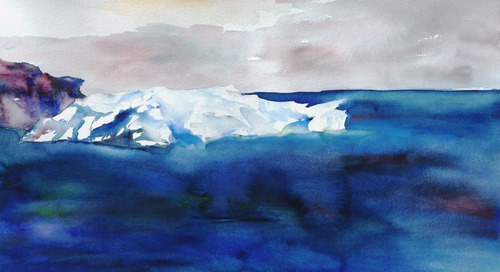 Sea kayaking has long been a favorite way for adventurers to explore the Antarctic. Similar to stand-up paddleboarding, kayakers can enjoy the wilderness with a quieter approach. 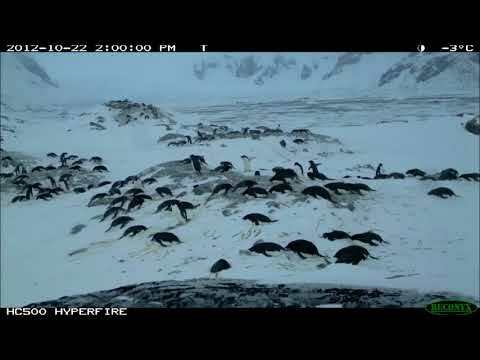 No nearby motors to interfere with what Antarctica really sounds like. Kayakers often extend their daily adventures a bit further than SUP boards, navigating safe routes through cathedrals of grounded icebergs, and coasting quietly by shorelines dotted with thousands of nesting penguins. Occasionally, kayakers encounter marine mammals in their natural environment, like seals or whales. Marine mammals are always viewed from a safe distance, as safety is the utmost priority for all kayaking programs regardless of the operator. But the feelings kayakers feel when sharing the water with massive marine mammals is humbling, to say the least. The type of experiences that often create lifelong passions for wildlife and exploration. Snowshoeing, beginners’ mountaineering, extended hikes and the infamous polar plunge are also available as included activities on all Antarctic expeditions. Are all trips the same? How do I choose the best itinerary for me? No, two expeditions to Antarctica are ever the same which is what makes visiting this continent so special. Your voyage will be uniquely yours—no other expedition will have sailed the same route you sailed, experienced the same things you did, and encountered the same spontaneous opportunities that the wilderness provided. Sea ice and weather conditions are always dynamic in this environment, resulting in a fluid style of travel that takes advantage of weather windows and occasional or rare opportunities that allow ships to enter otherwise inaccessible landscapes. You will undoubtedly see more glaciers, mountain tops, and penguins than you can count, all of which will feel so immense it will be difficult to describe. But every voyage has its additional victories, its coups, its open doors that create truly one-of-a-kind experiences that no one else will be able to replicate. Every voyage has its own life, its own pulse, its own story, and your voyage will be uniquely yours. Since ancient Greek times, scholars and explorers were convinced there was a large landmass south. Way south. And as scientists began to realize that the world was round, that prevailing thought continued: there must be a landmass at the bottom of the globe to provide counterweight to all of the land in the north. England commissioned Captain James Cook on multiple voyages to the Southern Ocean not only to take astronomical measurements to better understand longitude and the mathematics of the world, but just as importantly, to discover this famed and mysterious continent. Captain Cook never saw land in Antarctica, but he penetrated deep into southern latitudes, encountering endless sea ice and icebergs that led him to believe that if there was land in the region, it was surely cold, encased with ice, and nearly inaccessible. 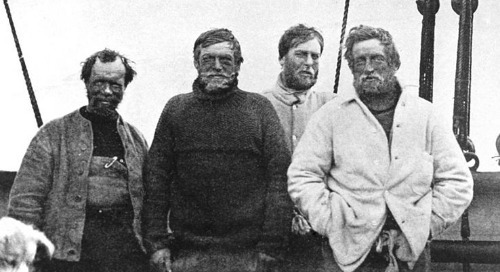 Ernest Henry Shackleton, Robert Falcon Scott, and Edward Adrian Wilson, who set out November 2, 1902, to reach the highest possible latitude the furthest south. In the 1820’s, many professional explorers, commercial sealers, and whalers found their way to the Antarctic Peninsula region. The names Bellingshausen, Palmer, and Bransfield are all dotted across the Antarctic map, as they were among the very first commanders to set their sights on the southern continental landmass proper. Throughout the next century, explorers battled with icy seas, scurvy, and a complete lack of communication with the outside world as they penetrated the various corners of this wilderness. Sir Ernest Shackleton, Sir Robert Falcon Scott, Roald Amundsen, Otto Nordenskjold, and Douglas Mawson each have their own courageous and harrowing tales of adventure of some of humanity’s very first encounters with the 7th Continent. Like these legendary explorers, some travelers today are looking to push their own limits and visit truly wild places to connect with nature and disconnect from their daily lives. Traveling to Antarctica touches on something resonant within us all—that desire to get out on the edge of what we know, and to experience something truly new. Like so many of the famous explorers before us, who traveled into the unknown, visiting Antarctica is the type of experience that will change our perspective forever. There really is nothing like the feeling of setting eyes on landscapes that very few humans have ever seen, listening to the grumblings of thousand-meter-thick glaciers as they power their way down steep coastal mountainsides, or sharing a snowy beach with an endless colony of charismatic penguins. These are the very sights and sounds that lured so many Antarctic explorers back into the unknown expedition after expedition. And they are the scenes that you’ll carry with you for the rest of your life. Yes, you can visit Antarctica! Although Antarctica is the most remote continent on earth—more than 1,000 km from the nearest neighboring continent—you can actually visit it, and enjoy the voyage at your own pace and preference. By offering a wide range of embarkation ports, voyage durations, itineraries, and seasons, Antarctica really is within reach. The continent remains isolated from the rest of the world, with its wildlife and wild places operating as they have for millennia. But its beauty is accessible—and it's waiting for you to explore it.